Mold growth – just thinking about it gives home and business owners a scare! That’s because mold can cause so much harm, from structural damage to causing health problems. 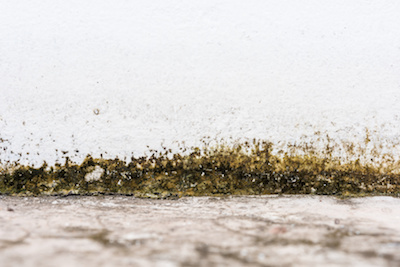 To protect the integrity of your home or building, as well as the wellbeing of those who spend time inside, Lexington home and business owners should make mold prevention a priority. Mold grows when there are high levels of moisture in the home or building. Indoor humidity levels can be affected by the outdoor environment, as well as the activities which take place inside. To prevent mold, you must keep moisture in check. Lexington home and business owners can use their HVAC systems to balance moisture indoors and prevent mold growth. Use your ventilation system to move moisture out of the home. In areas which are prone to high moisture, such as bathrooms and kitchens, exhaust fans should be used to prevent moisture buildup and mold growth. Use a whole home dehumidifier to keep moisture balanced throughout the structure. A dehumidifier will remove excessive humidity, keeping relative humidity levels balanced between 30 and 50 percent. Boost airflow throughout the home or building to prevent moisture from gathering in one spot. Use whole home ventilation, run your HVAC fan, and use ceiling fans to keep air moving. In addition to these mold prevention practices, you should inspect your home or business for issues which could be allowing water to come inside. Clogged gutters, broken roof shingles, and other construction issues could be allowing water to back up indoors, creating prime conditions for mold to grow without your knowledge. Let Climate Control assist you in putting these steps into action to combat mold growth in your Lexington home or commercial building. Contact us today to schedule your free consultation.